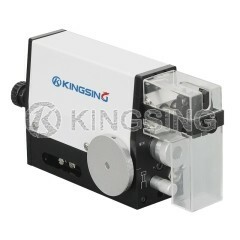 KS-W336 is used for processing single conductors and inner conductors of multi-core cables. 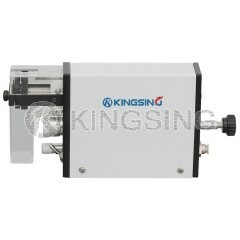 The pneumatically operated KS-W336 stripping machine excels with its compact design, fast cycle times and infinite settings for conductor diameters, stripping -and pull-off lengths. 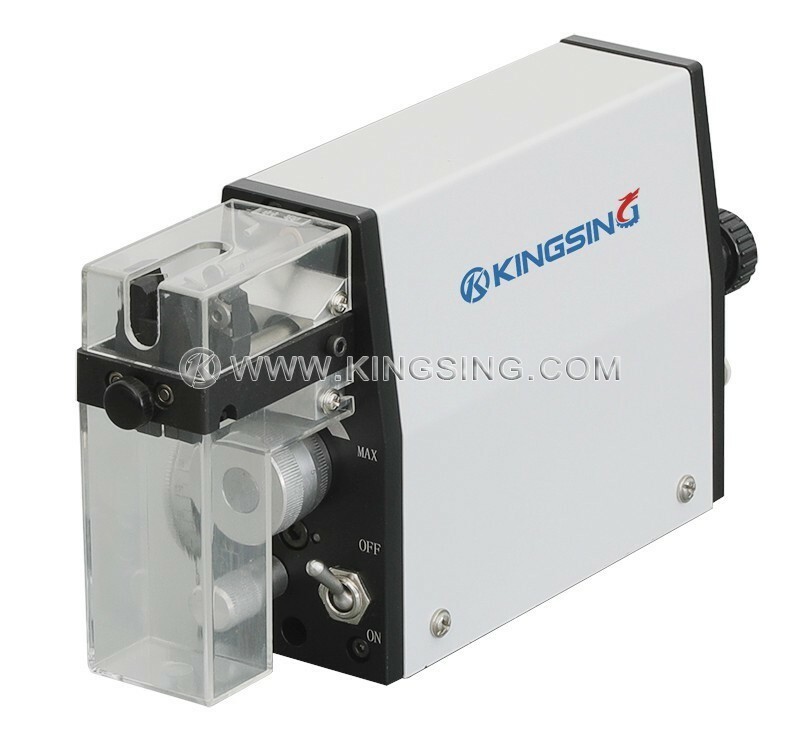 KS-W336 is a pneumatic wire and cable stripping machine and the perfect solution for stripping discrete wires and small multi-conductor cables up to 3.2 mm (0.12") O.D. 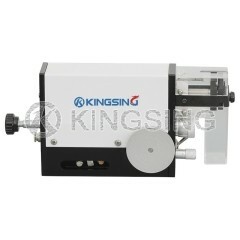 The compact machine strips lengths up to 20 mm (0.78"). 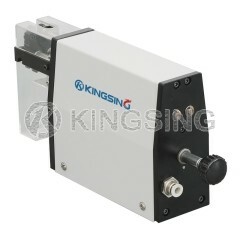 KS-W336 satisfies the ever tougher quality requirements in wire processing. 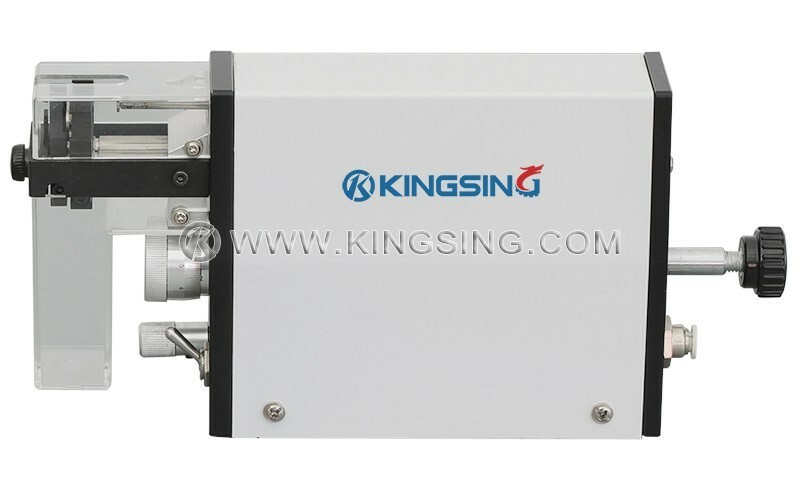 High precision and short cycle times for full and partial pull-off are characteristic of KS-W336 equipped with V-blades (blades can be customized). 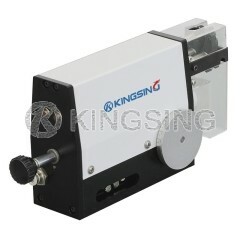 Operating strictly electrically, the portable machine can be used anywhere a power socket is available. The ease of operation and the short cycle times make KS-W336 ideal for a great diversity of products made in small to medium quantities. 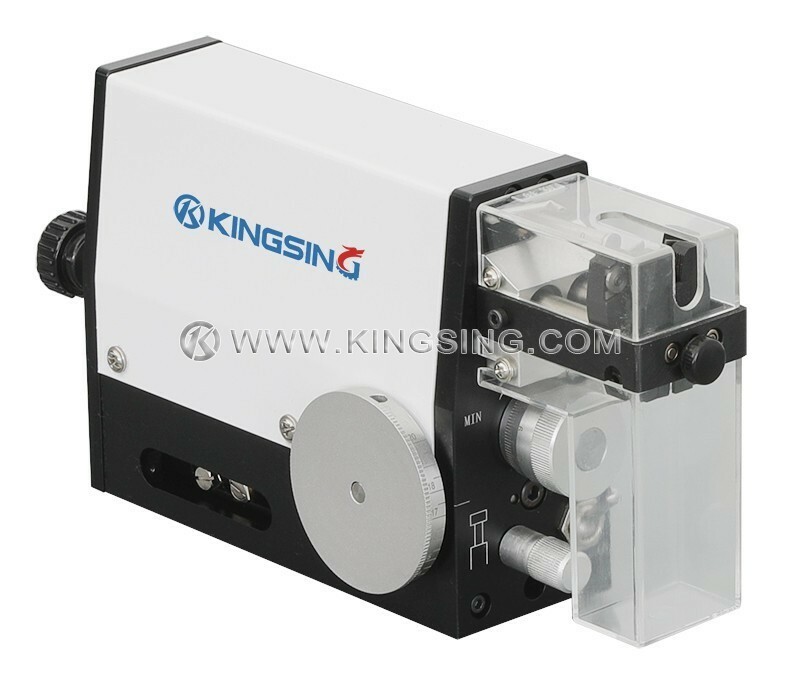 This machine has lots of advantages such as Outstanding ease of operation, Light and portable, Extremely short cycle times, No blade change necessary, Strips very short cables, Simple machine operation, Robust & reliable. Discrete Wire, Solid Wire, Stranded Wire, Single Conductor Cable, Wire, Cable, Rubber, PUR, PVC, Teflon®, Tefzel®, etc. 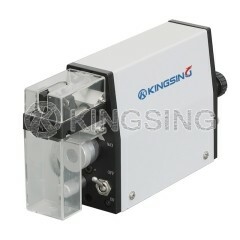 KS-W336 has been proven thousands of times over to process wires and cables. 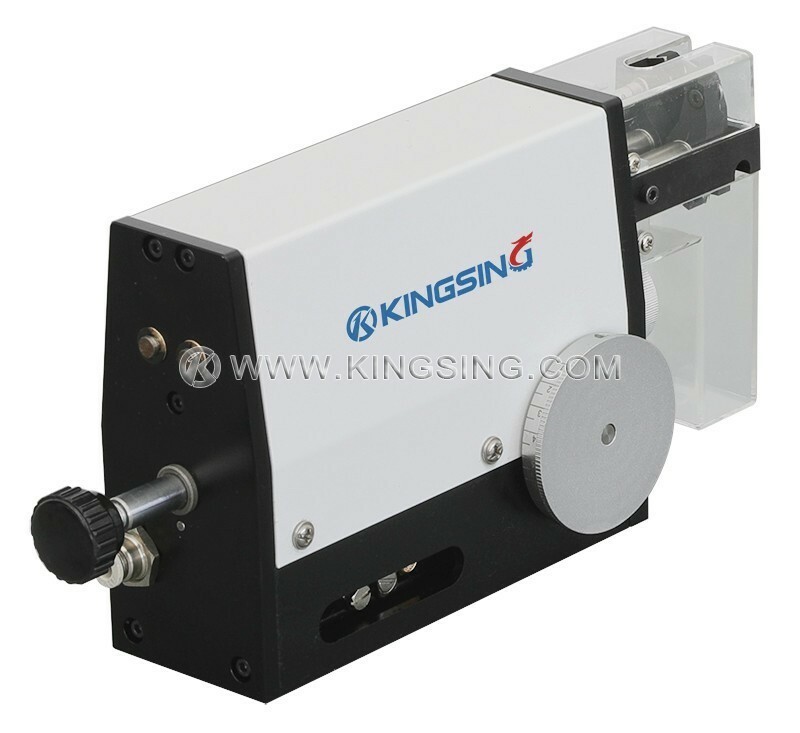 The machine operates with extremely fast cycle times and feature a universal blade system that eliminates time consuming changeovers. 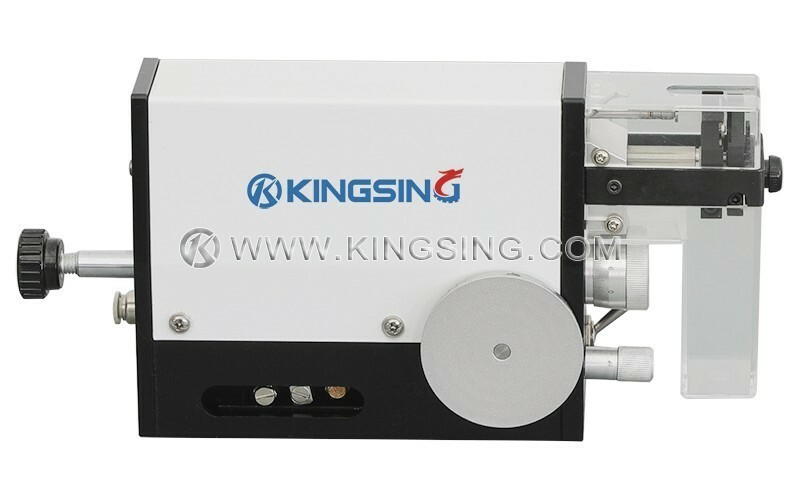 Absolute precision, high cost effectiveness, and a very short return of investment are the main characteristics of this machine. 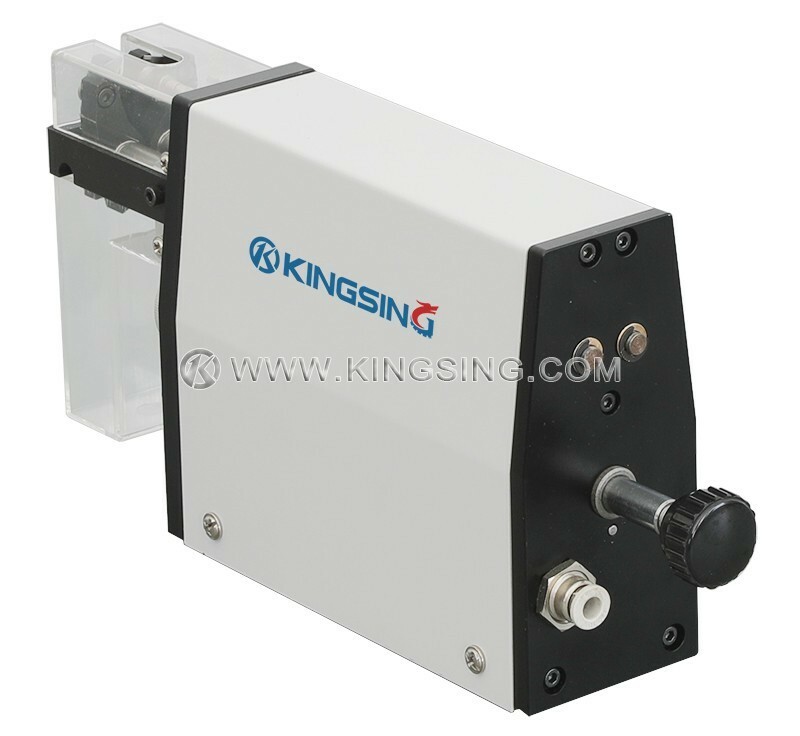 The compact and slender design allows for several units to be used on one workstation and has proven most efficient particularly when processing wire harnesses and multi-core cable.